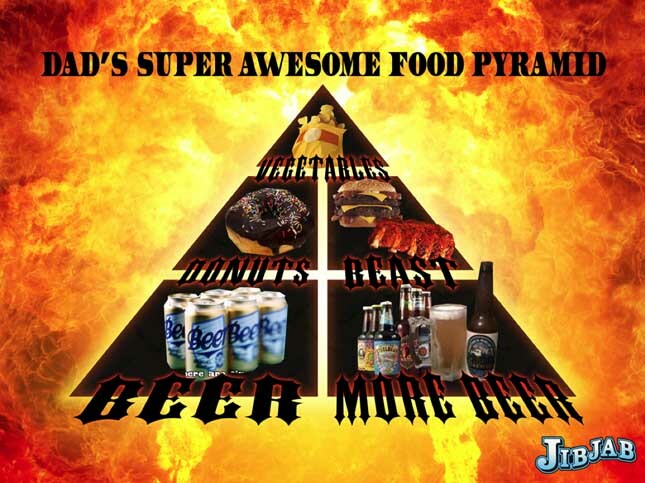 Our new Fatherly Food Pyramid postable is pretty extreme. But it used to be even more so. This entry was written by paulhanges and posted on June 16, 2010 at 2:41 pm and filed under Production Art. Bookmark the permalink. Follow any comments here with the RSS feed for this post. Trackbacks are closed, but you can post a comment.